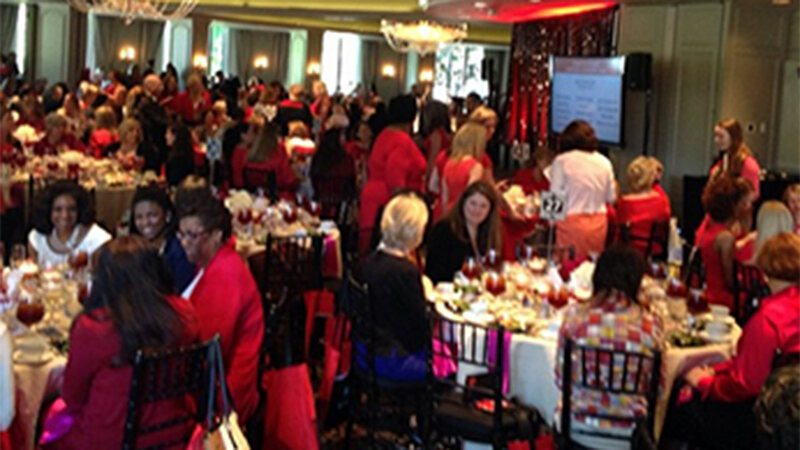 HOUSTON (KTRK) -- A sold out crowd of men and women clad in all shades of red filled the Hotel ZaZa auditorium today to lend their support to the 2015 Houston Go Red for Women Expo and Luncheon. The American Heart Association event calls attention to heart disease, the number one killer of women. "The Go Red For Women movement has been impacting the health of women for more than 10 years and as a result, 300 fewer women are dying per day," said Dr. Julia Andrieni, event chair. "We should all feel empowered by this amazing accomplishment and use it as motivation to continue to fight this deadly disease." Television host and University of Houston law alum Star Jones gave the keynote speech. She said her work as national ambassador for the American Heart Association is the one of which she is most proud. Jones underwent open heart surgery, and says she is committed to educating women on what they can do to stave off cardiovascular disease. The audience of volunteers, sponsors, survivors, friends and family was brought to tears by the story Hope and Grace Raggio. Eight-year-old Hope was born with a congenital heart defect. A similar heart defect cost her sister Grace her life when she was just three months old. Hope's mother, Mindy spoke on behalf of the family about how important it is to raise money for heart disease research. "Losing Grace changed everything for me. Every day that I have had with Hope in my life is a day that I am thankful for," said Raggio. "I share all of this with you because I want everyone in this room to know how incredibly important the research education and advocacy efforts of the American Heart Association is to me and all the moms out there who have had a child born with a congenital heart defect." ABC-13's Gina Gaston was proud to serve as the event's emcee for 10 consecutive years. 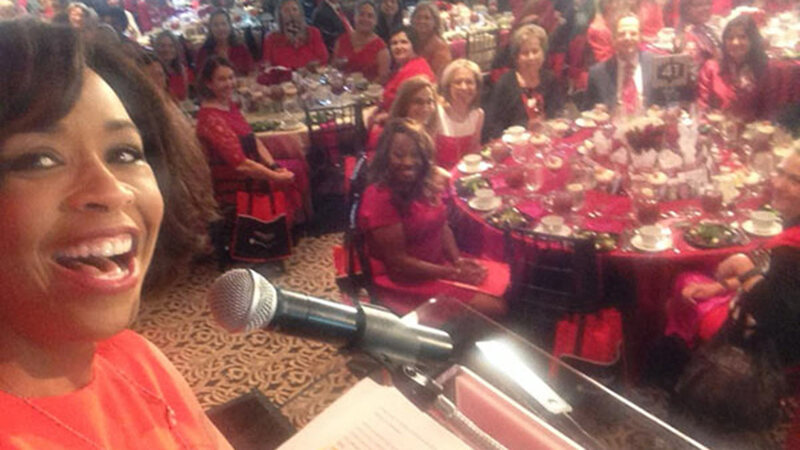 KTRK has been the Go Red For Women media partner during that same time period. Visit goredforwomen.org to receive tips, news and hear about other women's life-changing stories.